Maybe it's your birthday. Maybe you just graduated from college. Or perhaps it's an anniversary and you and your hubby want to celebrate. Perhaps you've just had a crappy day and need a pick-me-up. At any rate, you're getting a f#$%^@# cupcake. You go that cute, overpriced shop around the corner, pick the best confectionary treat in the house, and emerge, triumphant with your prize. And then you stop. How the heck are you going to eat that thing without getting icing and crumbs all over the place? The dang sugar bomb is too big to eat in one swallow, and taking a normal bite would leave your nose covered in icing. You are, as it were, stuck. Not to worry. There are methods, my sweet-toothed friend. Methods. 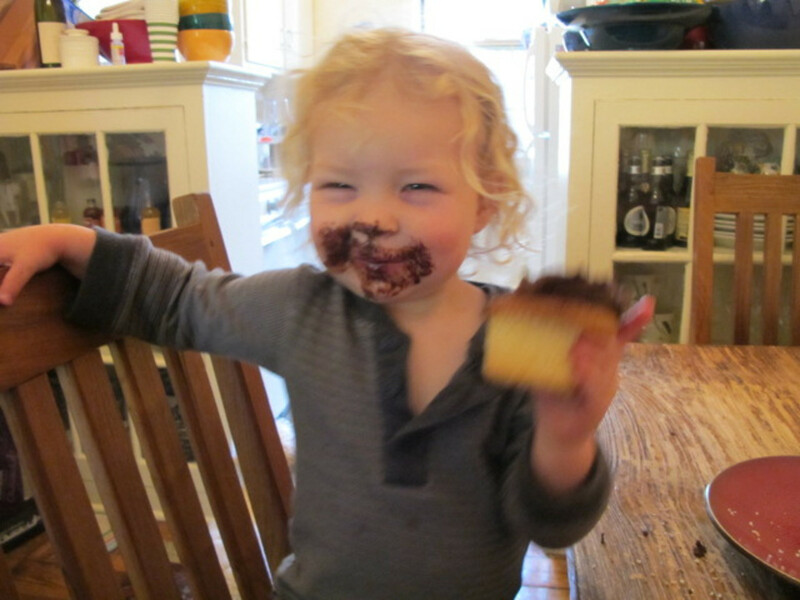 In the guide that follows, I will show you how to eat a cupcake without making a mess. 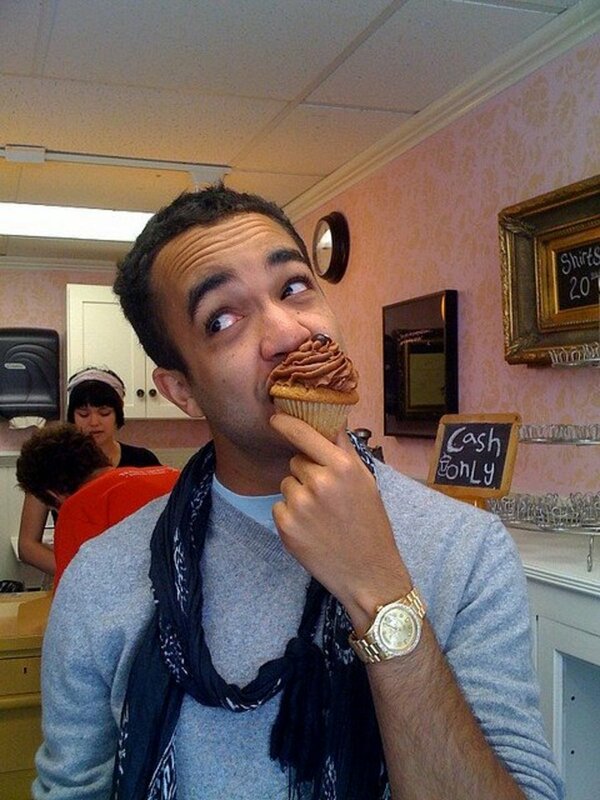 I will also show what different cupcake eating tactics reveal about the people who employ them. Aesthetics may also be considered an important factor, but as the looks of a cupcake degrade pretty significantly once consumption begins- no matter the means of consumption- it is ultimately of little importance. 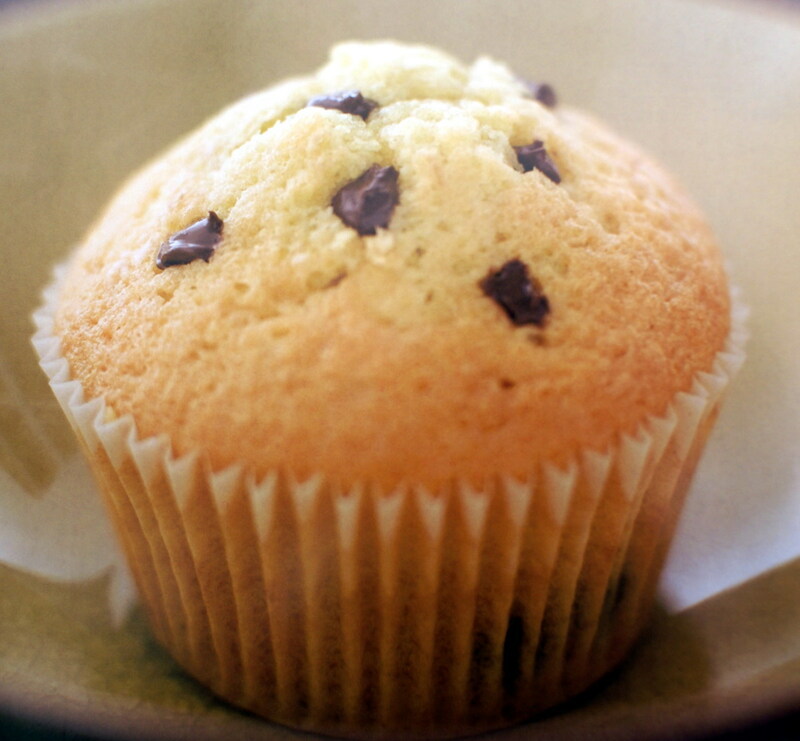 The means of cupcake consumption that maximizes neatness, practicality, AND cake-to-icing cupcake ratios is most commonly referred to as the cupcake sandwich. 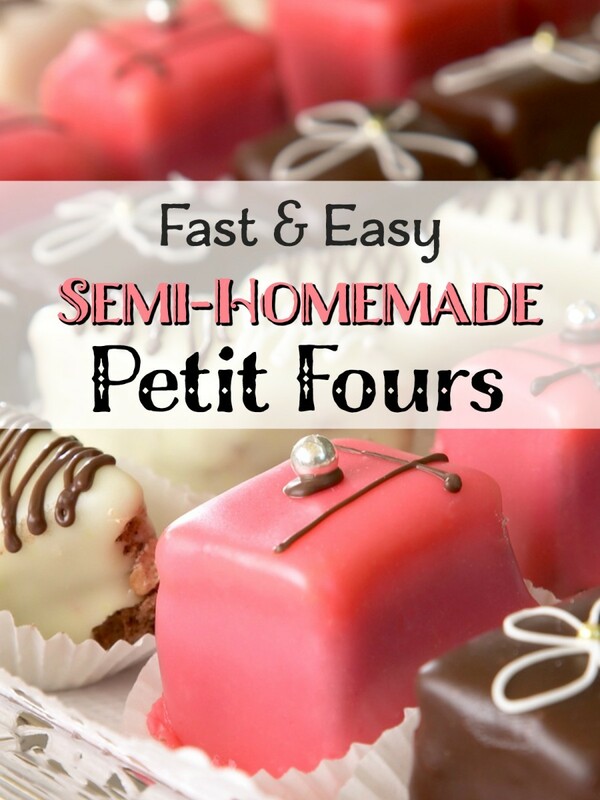 This method is employed by a smart and expedient sort- someone who is enough of a foodie to care about icing-to-cake ratios but enough of a go-getter to figure out how to maximize them without fussing. 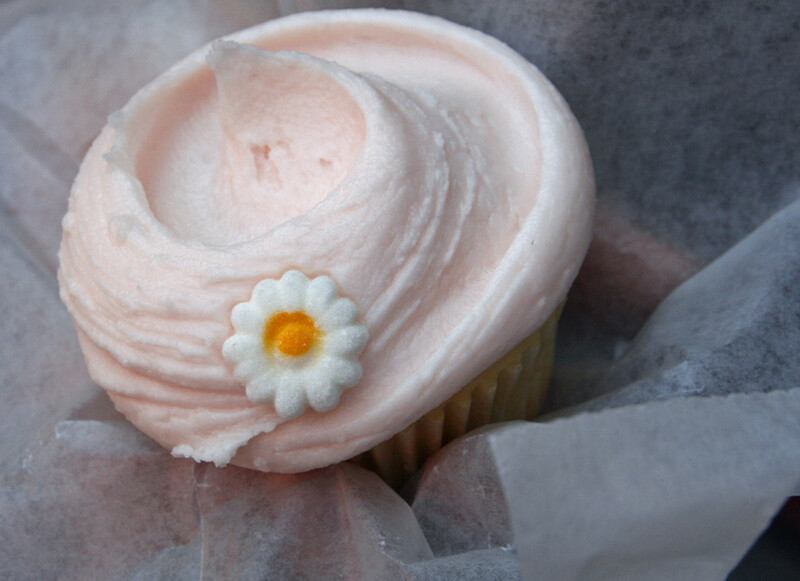 A cupcake sandwicher is a good friend to have. S/he knows how to live well while still being spontaneous. My personal favorite method of consuming cupcakes involves careful dissection and can take as long as ten minutes. This method is best left to only the most militant of foodies and reserved for only high quality cupcakes. 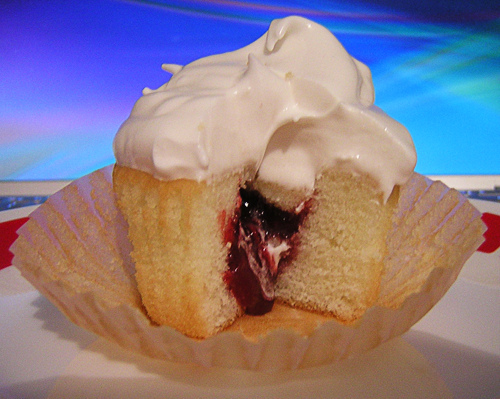 The steps involve either slicing the cupcake into small, bite sized wedges that include the perfect distribution of icing, top, middle, and bottom, or separating the cake into bottom, middle, and top sections, then redistributing the icing onto those three portions and eating them like iced cookies. This method requires both a knife and a plate and maybe a fork, hence it is not ideal for casual situations, and as it is something of a process, it is best enjoyed in the privacy of one's own home. 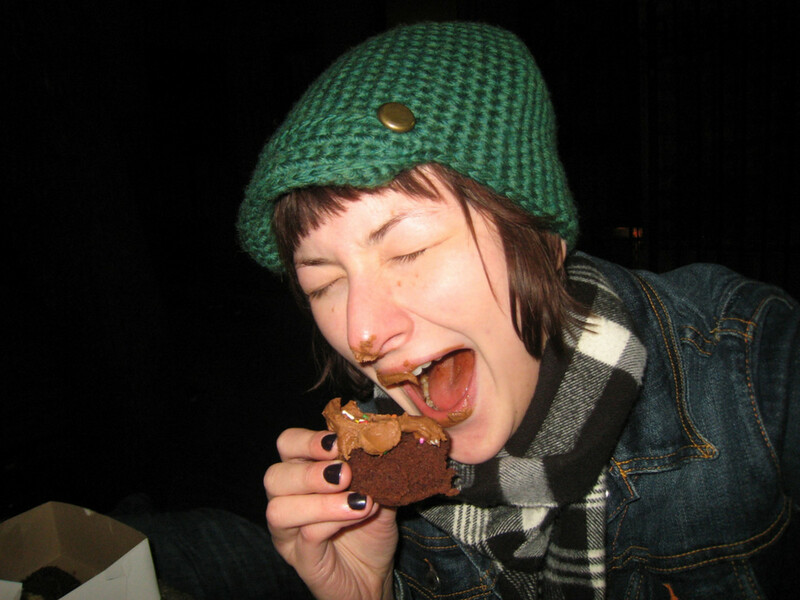 That said, this method maximizes the gustatory experience of eating a cupcake and enables one to enjoy its distinct and unique parts while not making a mess. People who opt for this method are typically difficult snobs that get caught up in the details of life, but one cannot ever excuse them of apathy or a lack of appreciation for the little pleasures in life. If you want to enjoy a relatively high degree of control over your cupcake as you devour it, plan to share it, and/or want to maintain a favorable and uniform icing-to-cake ratio while also maintaining sense of dignity, forking it is the way to go. 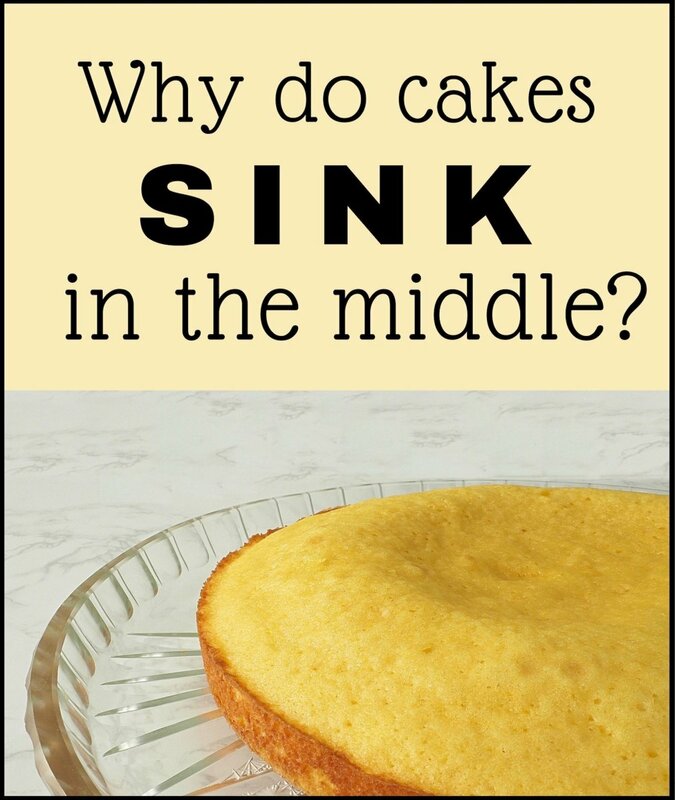 Simply place the cupcake on a flat surface (be it a table, fence, plate, or friend's head) and dig into the center with a fork, pulling outward to release a cross section of the cake that includes a part of each section of the cupcake. If one is sharing a cupcake with one or more individuals without any verbal contract to "split it down the middle" this method is the most practical and sanitary course of action. This tactic is also appropriate to those who are averse to eating with their hands but do not want to appear so uptight as one would come across should a full fork and knife approach be adopted. The downside to this tactic is that repeated forking quickly compromises the structural integrity of the cupcake, making the latter remains more crumbly and difficult to eat, so this approach is not ideal should one want to enjoy every bit of the cupcake as much as possible. People who fork it are democratic in nature without being excessively dogmatic about structure and equality. They are neat and fastidious, but only to a point. They are, however, better at beginning projects than following them through, and do not always think plans through to the end before forging ahead. 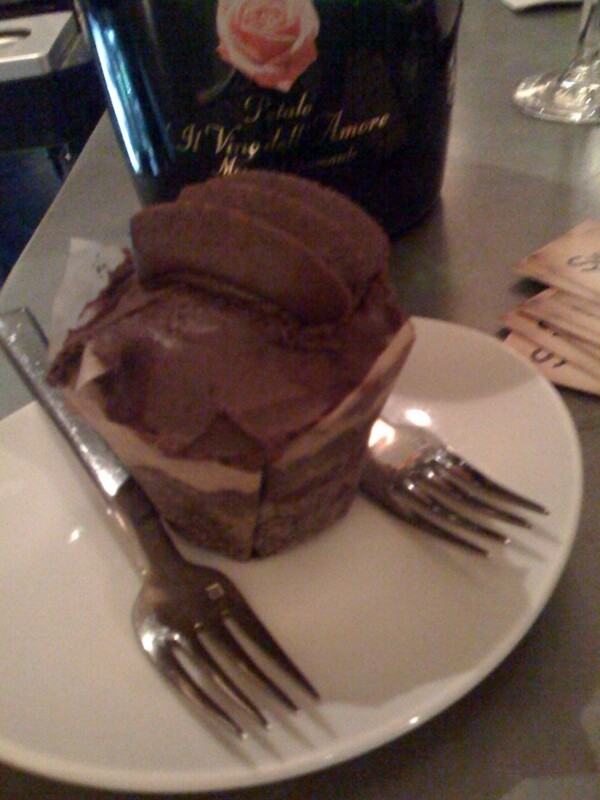 As cupcakes are often enjoyed spontaneously and are consumed by those in an ambulatory or semi-ambulatory state, it is not always possible to employ the use of forks, knives, plates, or even runcible spoons. Indeed, there are many situations in which cupcake recipients have no choice but to consume it with their hands. While The Cupcake Sandwich (see above) is the best method to use in such instances when it comes to enjoyment of the confectionary treat, one might not always find it appropriate. If, for example, one's hands are dirty, one would not wish to directly handle the delicate cake. Alternately, one may wish to keep one's fingers free of crumbs. In such instances, the Kissme Cupcake Method is ideal. This method involves a direct assault of the dessert executed with a tilted head. The head tilt is key, as it spares one's nose from being dipped in icing. This method simply involves diagonal consumption of the cupcake, and while the icing-to-cake ratio is not perfect using this tactic, it is still relatively favorable. People who employ the Kissme Cupcake Method are dainty and dexterous, as it takes quite a bit of finesse to pull this move off successfully. Kissme Cupcakers are also, not surprisingly, good kissers, as they have successfully mastered Nose Logistics. Some cupcakes are so large and come with so much icing on top of them that even the Kissme Cupcake Method is not capable of shielding one from a face full of frosting. In such dire situations, one may turn to the Icing First Approach, in which one first licks all of the icing off of the cupcake's top and subsequently consumes the cake portion of the cupcake as though it were a muffin. Alas, this method offers the worst icing-to-cake ratio, first blasting one with rich icing, leaving one practically drowning in fat and sugar, and then ripping one to a harsh desert of fluffy cake without creamy relief. 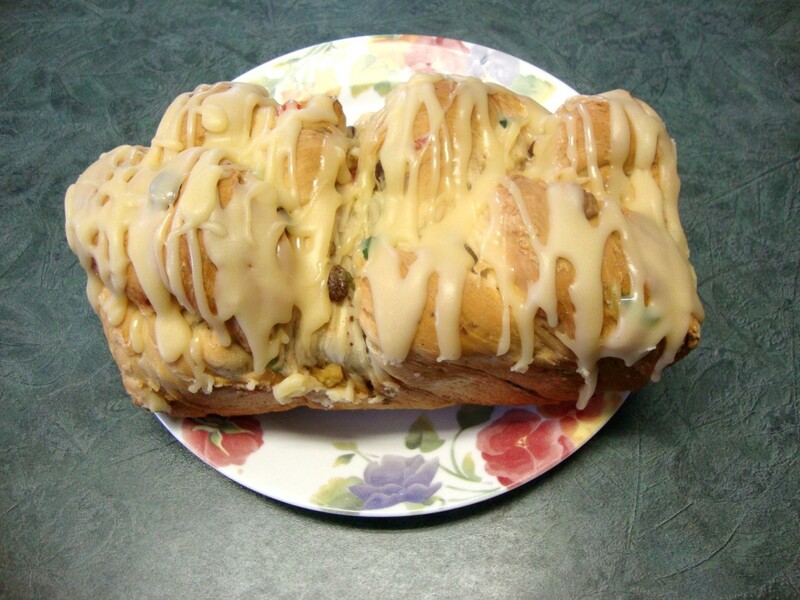 People who utilize the Icing First Approach have little foresight and are not known for savoring the moment. Do not mix with such folk. They are to be avoided. Utilization of such implements will be messy at best and disgusting at worse, and is likely to merit strange glances. People who utilize alternative implements for cupcake consumption are quirky and fun to watch and be around, but are not ideal leaders in conventional situations. Should one run out of ideas, however, AI folk make for excellent resources. Finally, one may simply throw convention out the window and eat a cupcake much like Ralphie eats spaghetti in A Christmas Story (which is to say: like a piggy). What is the worst thing that could happen? You'll look adorable, your friends will photograph you, and the resulting picture will be posted on Flickr, Picasa, Facebook, Twitter, and wherever else the public at large may see it. Not so bad. Besides, someone fetching might sidle up to you and start licking the icing off your face. It could be worse, right? So don't worry too much about cupcake consumption. Just enjoy yourself. 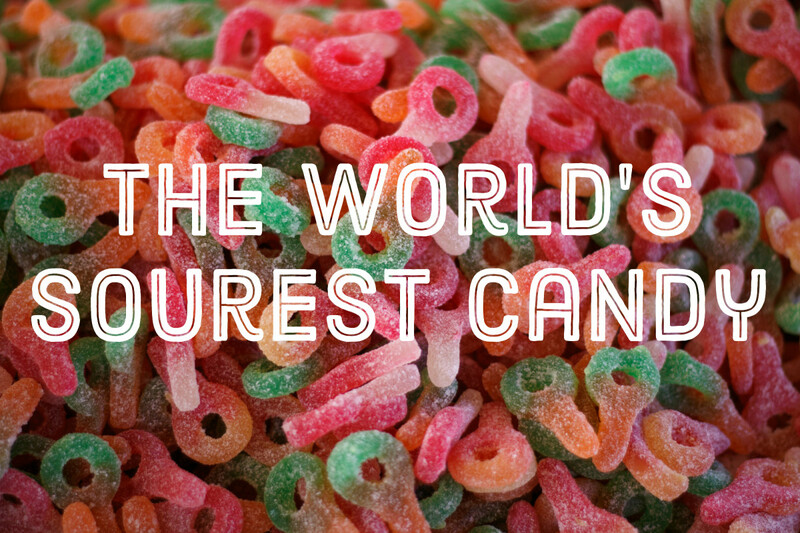 And share your favorite way of eating these delicious treats in the comments below. 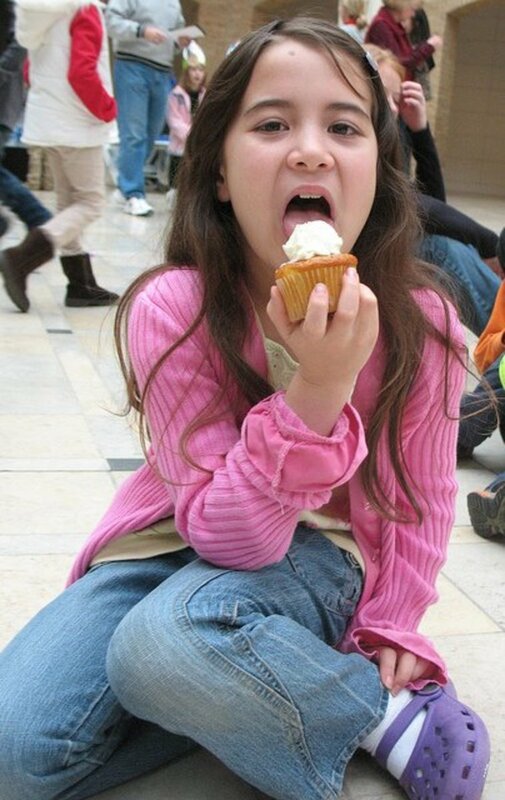 What kind of Cupcake Eater are You? What's your primary cupcake consumption method? I JUST EAT THE #$%^&*( THING!! 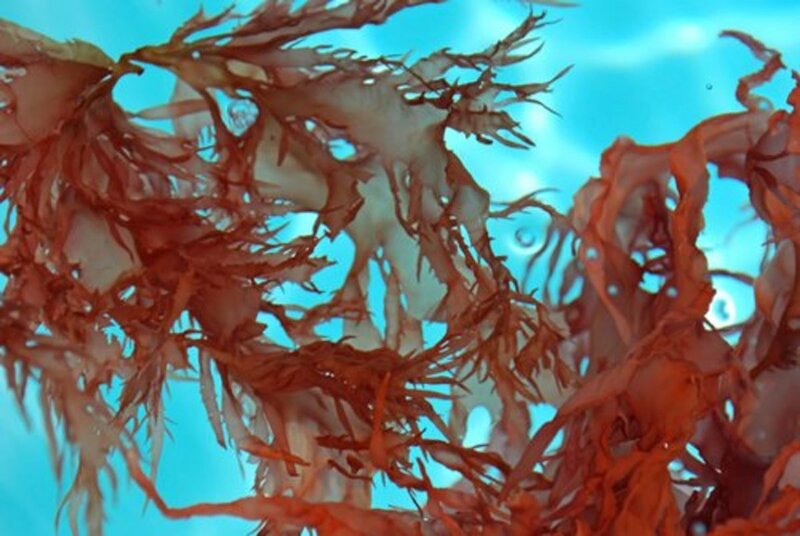 What Is Dulse, and What Are the Benefits of Eating It? HOW DARE YOU. Icing first is the ~ONLY~ way to eat cupcakes. The icing is by far the best part and the cake is more filling when you eat it alone. You should DEFINITELY try the cupcake sandwich approach, Jason! Though I think one nice thing about just nomming the whole thing immediately is that one makes less of a crumbly mess and doesn't pull apart a gorgeous cupcake slowly... which always gets to me for some reason. Quick and clean cupcake deaths seem to be the most... humane ones! I'm a huge fan of those cupcakes, stylezink! They're totally designed for tossing in one's mouth. That's what makes them so dangerous! Great & funny hub! I enjoyed reading this.. a lot! I'm a Kissme eater. However, if they are the mini cupcakes everyone's is making these days, I just pop the while entire thing in my mouth, and usually have the next one ready in my hand. Terrible, I know. I'm a sweet freak! Thanks for sharing this cute hub. Voted up! This is hilarious! I have to admit that I just usually ram cupcakes down my throat (like Diana from that old scifi show, V), but I'm utterly intrigued by the cupcake sandwich approach. I might have to whoopiepieize the next cupcake I eat now! Ah-hah! A very popular consumption method, amymarie_5! This was so cute to read! I admit I go for the icing first. It's the best part!! Hey, snobs can be cool! They just avoid the mainstream is all! One must appreciate the little pleasures... otherwise, life would be a dreadful waste! appreciate the little pleasures in life :-P off to enjoy a cup cake now! I know, leroy64! It is rather crazy. But to be honest, a lot of the cupcake folk tend to be the posh, high maintenance type, and wiping icing off the face would require the hassle of subsequent makeup reapplication. Ah well. I hope you got that cake! One must satisfy these cravings. You mean there are people who don't want cupcake icing on their face? I thought that was part of the experience, like the surprise ingredients in gumbo. Now I want a cupcake, or just cake. Either will do. Hahaa!! That's awesome Movie Master!! Hey, at least you don't eat cupcakes all boring-like, eh? For me it's just get stuck in there approach, my son in law was horrified the first time he saw me eat one, I didn't know there were other methods!! so funny and voted up. Oh, nice ExoticHippieQueen! Those types are less common- and quite popular! I believe I use the KissMe method. So funny, Simone. Thanks for the good read! Voted up and funny! You're quite right, KMattox. I suppose it IS part of the fun. Getting messy is one of the lesser known things one can do to make oneself happy. No actual food consumption required! Great hub very funny! I fully support your wish not to get icing on your face by forking it up, but that is part of the fun of cupcaking (verb: to cupcake).Loved this hub I voted up and funny! Thank you very much, Eiddwen! And (1) I am quite convinced that those are EXCELLENT times to eat cupcakes, Peggy W. I am sure both have been done. Absolutely sure. (2) Yes! I go at mine weekly with rubbing alcohol, so every Sunday, they're excellent and clean cutting implements! Absolutely, Winsome. I'll take up that contemplation with you. And lordy lord, your spoon method absolutely reveals your contemplative side! The need for equality, the attention to detail, the understanding of how different parts come together. Yup, if you hadn't mentioned your cupcake-eating method, I could have guessed from your cerebral comment! Simone, devoting a whole article to the varied ways of consuming a cupcake is somehow both decadent and profoundly insensitive considering the numbers of people in the world who are hungry. I for one will spend the next few seconds contemplating their plight (or at least until my cupcake is finished in the blender--my personal favorite method) Equal distribution, consumed with a spoon. Ahhhhhmmmmm. I have just 2 questions. #1...do people really eat cupcakes while one is in a raft or on a crashing helicopter, and #2, is there any such thing as a clean credit card? The places they have been...oh!...I shudder! :)) Funny hub and useful for those who are inclined to eat cupcakes. A brilliant hub and thank you for sharing. Excellent method, drbj! That gives you all the best parts of the cupcake! Surely this reveals that you are not only clever but healthy! I am SO the cupcake sandwich person! As a preschool teacher, I have learned that it is the least messy and most tasty approach for me and my students as well! I have never seen anyone else use this method, so no longer feel alone! Great hub! Love it! Voted up, useful and funny! Thanks! I love cupcakes but eaing the whole thing is way too many calories so here is the drbj method. 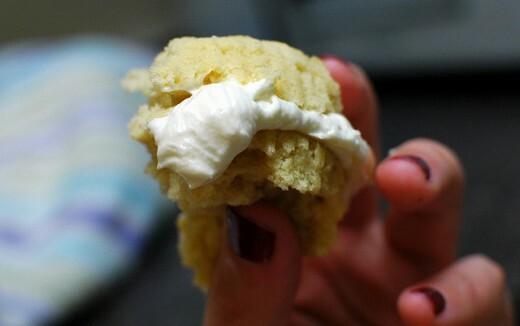 Place cupcake on plate and slice top half with icing from bottom half. Eat top half with no guilt whatsoever and give balance of cupcake (without icing) to deserving individuals, animals or whatever. I've had a go at it a couple of times- it takes strong hands and finesse, but it can be done! 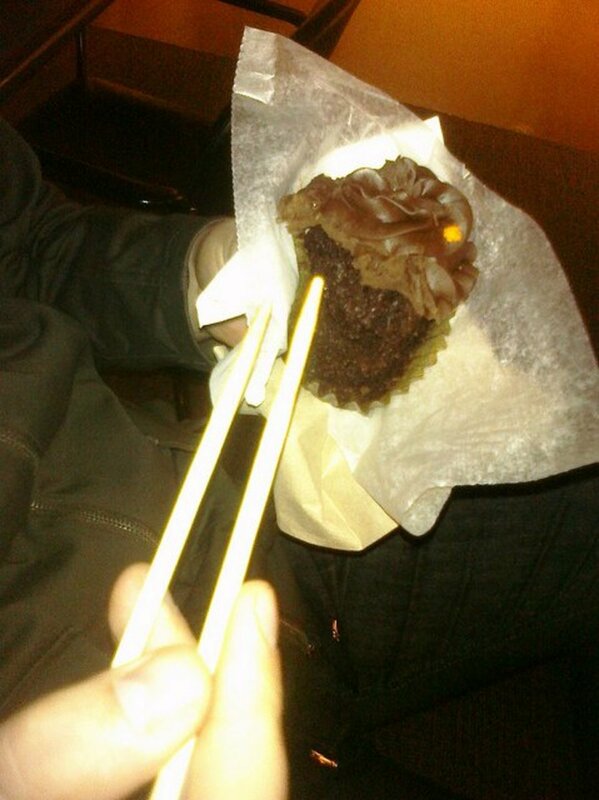 One day Simone, one day I will try eating a cupcake with chopsticks! Hahaa! Hyphenbird, that cracks me up. I just visualized like... a cupcake vampire, but instead of sharp canines popping out, the front teeth just jut out, horse, style. LOL. And oh man, one could DEFINITELY write a cupcake sitcom. I'm just waiting for someone to give me the job. The Just Eat the @#$%^&* Thing Approach Works For Me! We need horse teeth that protrude out when a cupcake arrives. Remember that Seinfeld episode where people ate candy bars with a knife and fork? There could be a cupcake sitcom with a different eating scenario every week. Very interesting, FloraBreenRobison! I suppose that makes you a sociable, fair, outgoing person with a touch of elegance and great kissing technique! What a fabulous combination. Brava! I alternatly use the head tilted approach and the fork approach.